Saturday — UNLV Invitational at Lake Las Vegas, 7:15 a.m. The meet kicks off with college races, followed by varsity high school races and open high school races over a 3.1-mile course. Many of the top local programs are entered including defending high school champions Green Valley (boys) and Centennial (girls). Thursday — Virgin Valley at Boulder City, 7 p.m.
An interesting Class 3A matchup for Thursday Night Lights. The Bulldogs are 5-0 and ranked No. 1 among Class 3A schools, but will have to win on the road against Thorsten Balmer and the Eagles to start Sunrise League play. Friday — Liberty at Desert Pines, 7 p.m. The game of the week without a doubt. The third-ranked Patriots are coming off a bye after a 1-2 start against out-of-state foes. The Jaguars have rolled to a 3-0 record, and will look for revenge after losing to Liberty 41-14 in 2016. Friday — Sierra Vista at Desert Oasis, 7 p.m. The Southwest League opener between the rival schools has teams headed in different directions. The Diamondbacks are undefeated and have had two weeks off to prepare for the Mountain Lions. 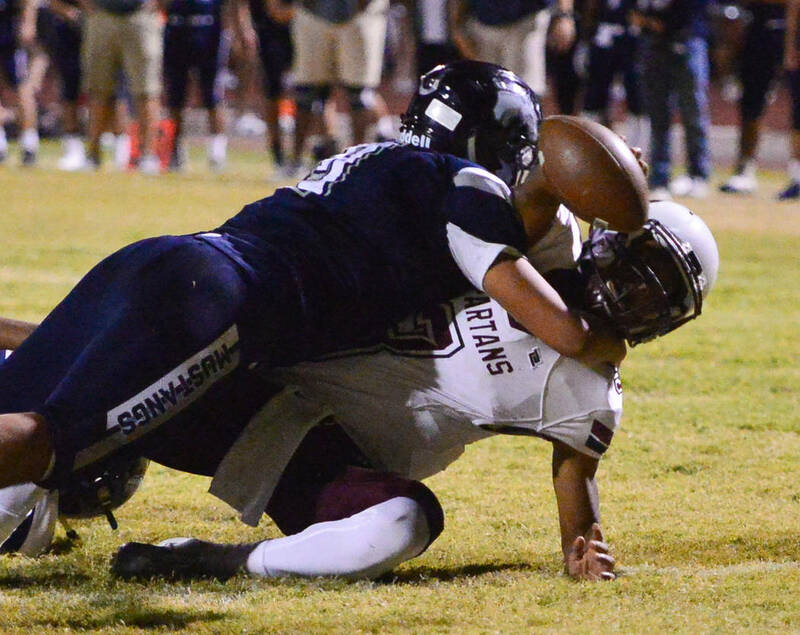 Sierra Vista has played a tough schedule, but brings a 1-3 record into the game. Friday — Shadow Ridge at Palo Verde, 7 p.m. The Mustangs are off to a 4-1 start, but have faded down the stretch the last two seasons. They missed the playoffs both years, finishing just behind fourth-seeded Palo Verde. Monday — Shadow Ridge vs. Palo Verde at TPC Las Vegas, 3 p.m.
A good old-fashioned dual meet between two Northwest League rivals. Thursday — Sunrise League Match at Coyote Springs, 11:30 a.m.
Can anyone stop Boulder City this season? We’ll find out Thursday. Monday — Western at Bishop Gorman, 5:30 p.m. The Warriors have not taken it easy in their nonleague scheduling, and it continues with perhaps the toughest test yet: a date with the defending Sunset Region champion. 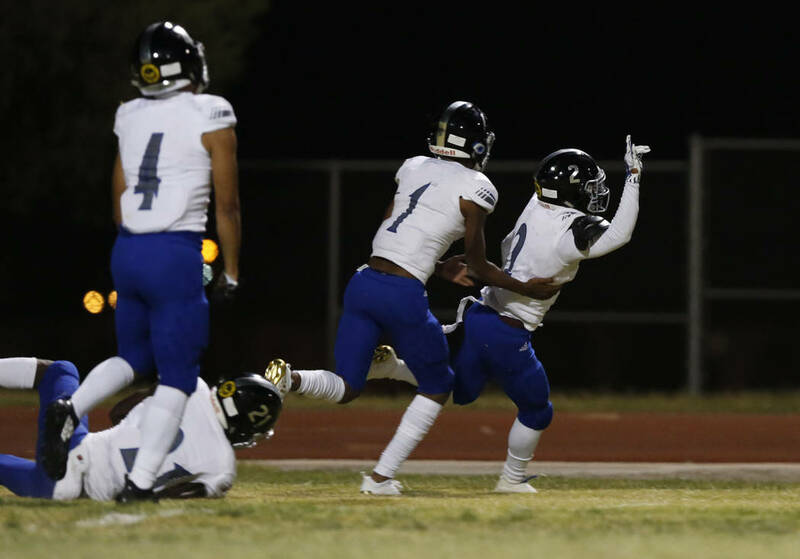 Friday — Palo Verde at Durango, 3:30 p.m.
A state championship preview? 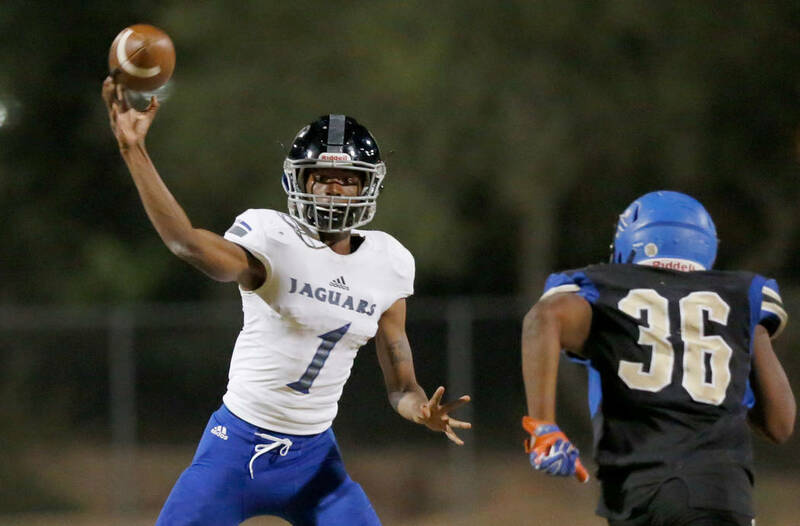 Formerly Sunset Region foes, realignment moved them into different regions and both are off to blistering starts. Monday — Centennial at Eldorado, 3 p.m. The Sundevils have been a pleasant surprise this season powered by Isabella Sama, and they host Marcella Brooks and the Bulldogs. Monday — Pahrump Valley at Green Valley, 4:30 p.m. The Trojans have turned themselves into a 3A force, and journey into the valley for a matchup with the Gators. Monday — Centennial at Bonanza, 3 p.m. The Bulldogs (7-2) and Bengals (8-1) are enjoying strong seasons in the Mountain League and will collide for in a key league matchup. Monday — Bishop Gorman at Sierra Vista, 3 p.m. The Gaels (6-1) and Mountain Lions (6-2) are jostling for position in the competitive Desert League. Monday — Faith Lutheran at Rancho, 6 p.m. The Crusaders and Rams both are off to 2-0 starts in Mountain League play. Thursday — Durango at Foothill, 6 p.m. The Trailblazers (1-1 Desert League), fresh off hosting the Durango Fall Classic, will head to Henderson for a date with the Falcons (2-1).